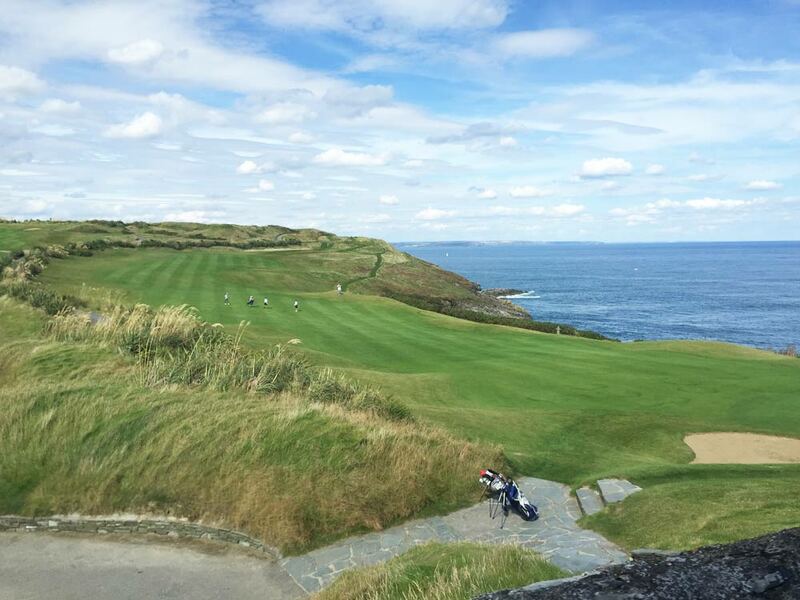 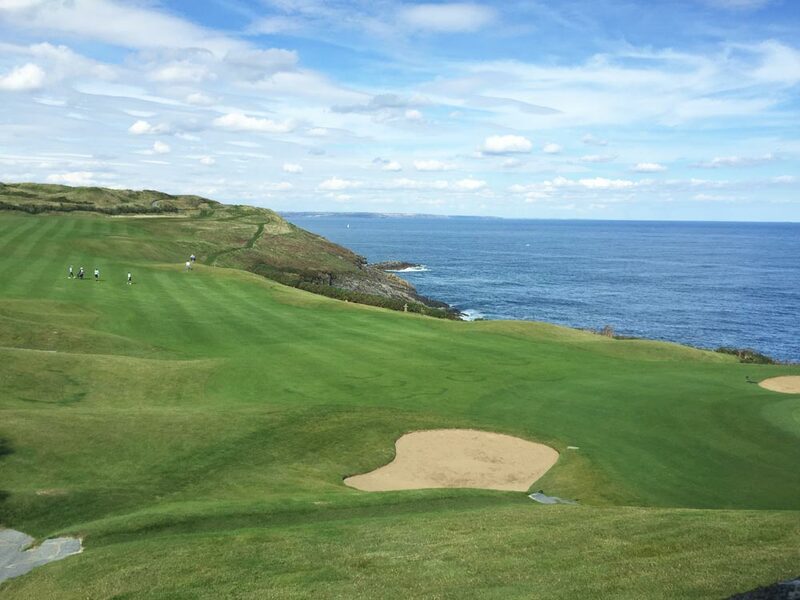 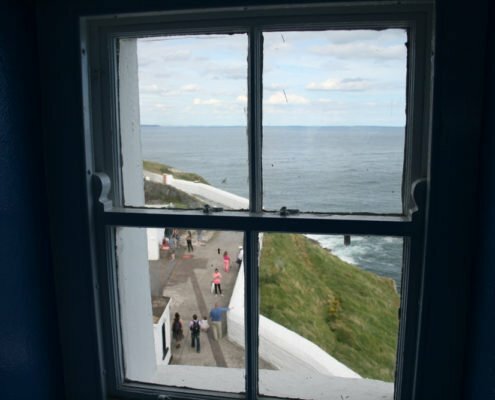 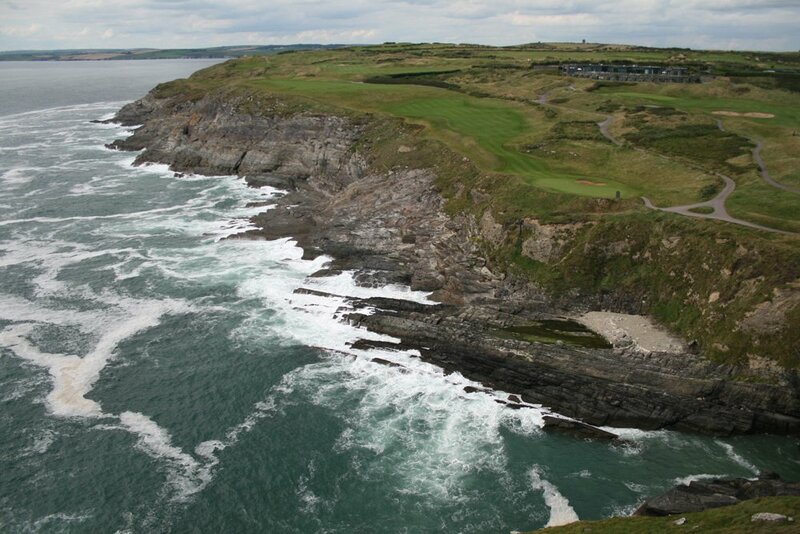 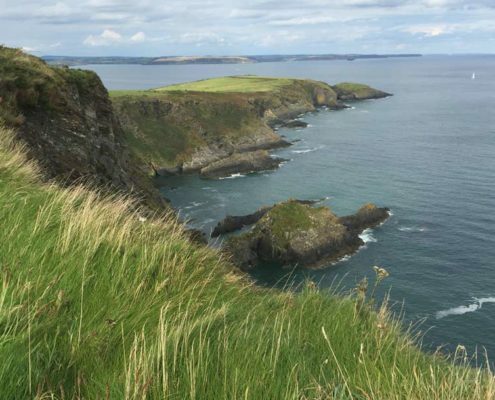 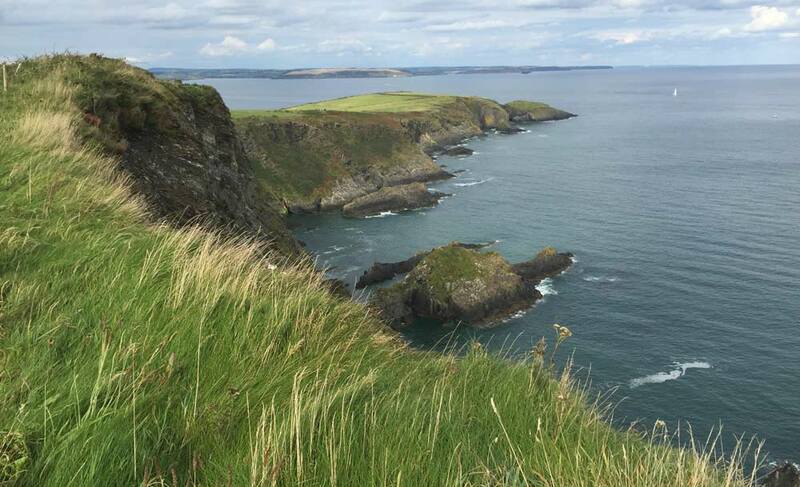 The Old Head of Kinsale is a deserving Wild Atlantic Way Signature Discovery Point. 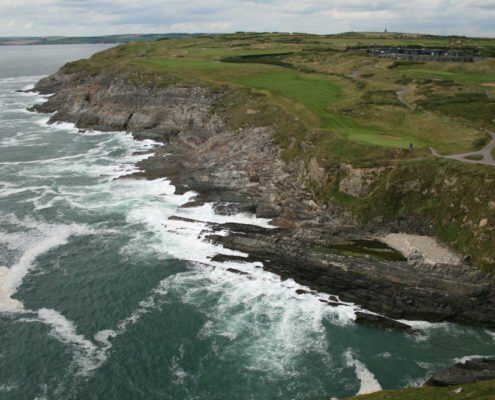 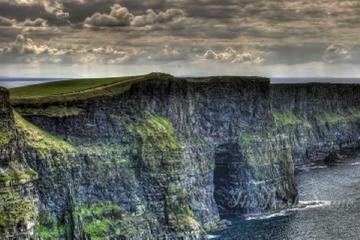 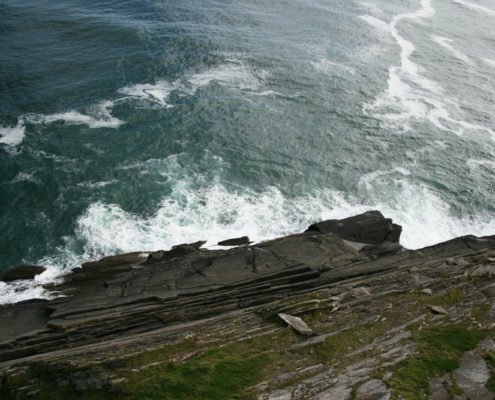 The headland extends out into the Atlantic ocean for 3 km. 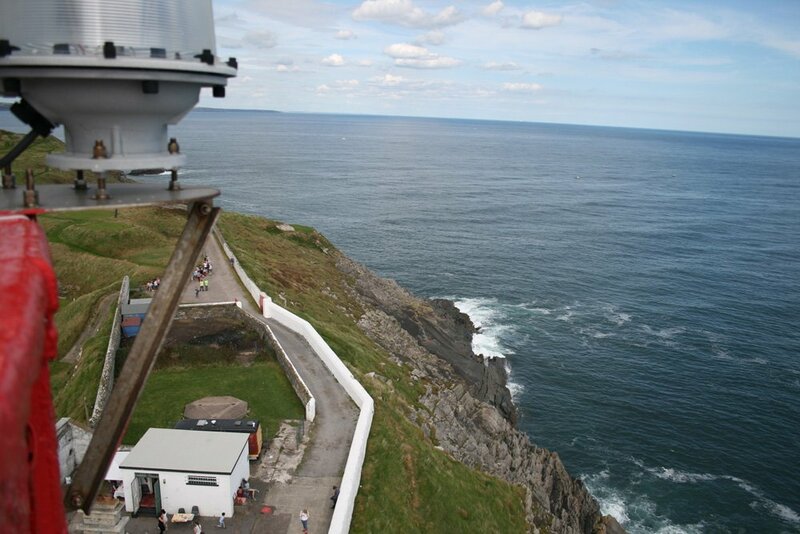 At the start of the headland is the Old Head Signal Tower which was built during the Napoleonic era in 1805. 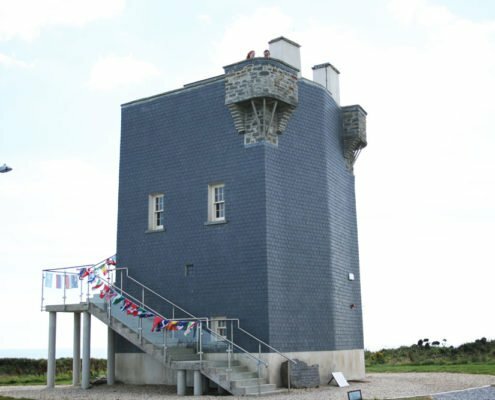 These towers were an important line of defence against French invasion. 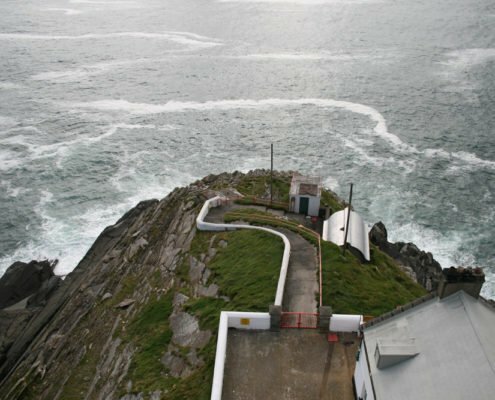 This is also the nearest point to the site where the RMS Lusitania sank in 1915 following attack by a German U boat. 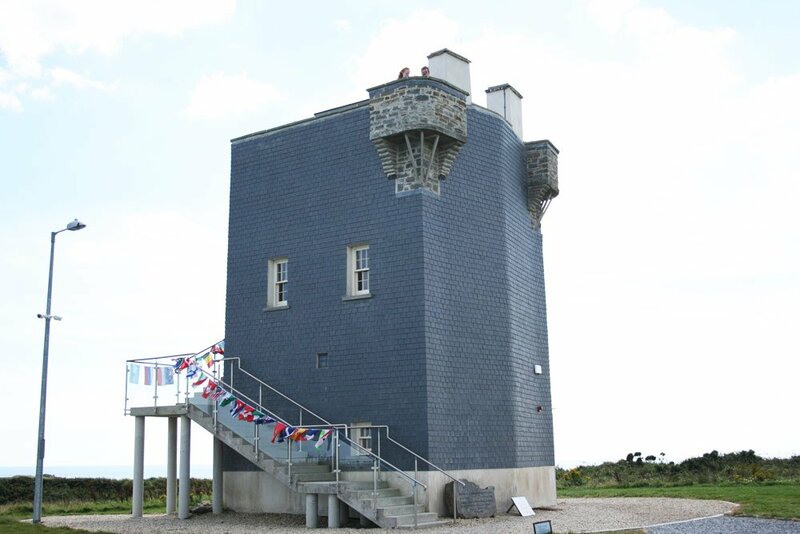 The Signal Tower has been wonderfully restored as a Panoramic Viewing Point, A Lusitania Museum and Interpretative Centre. 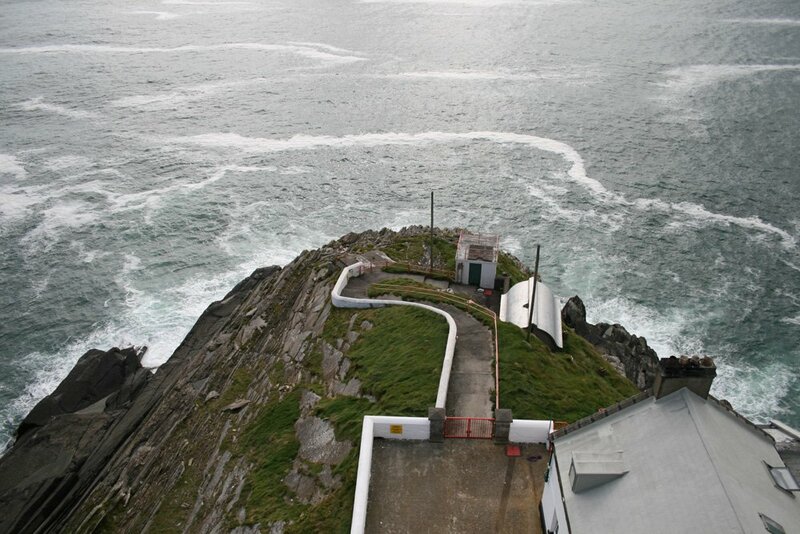 Work is underway to complete a Lusitania Memorial Garden to honor the almost 2000 souls lost on that fateful day. 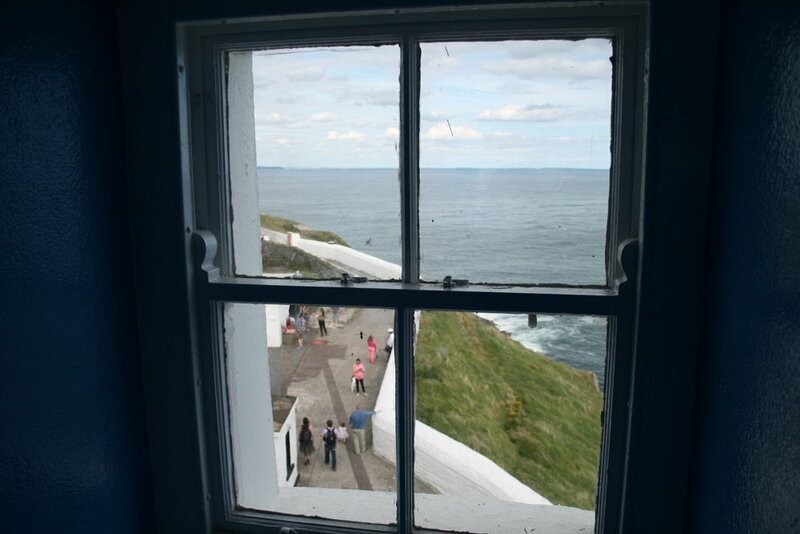 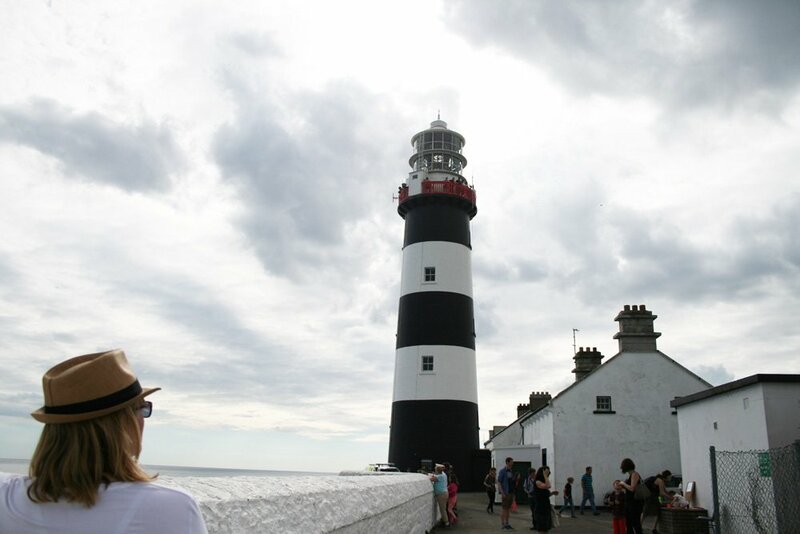 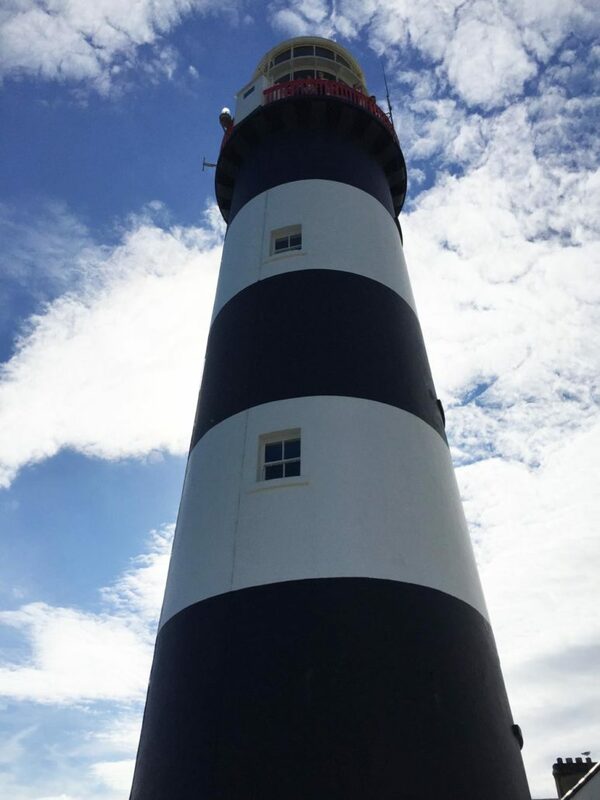 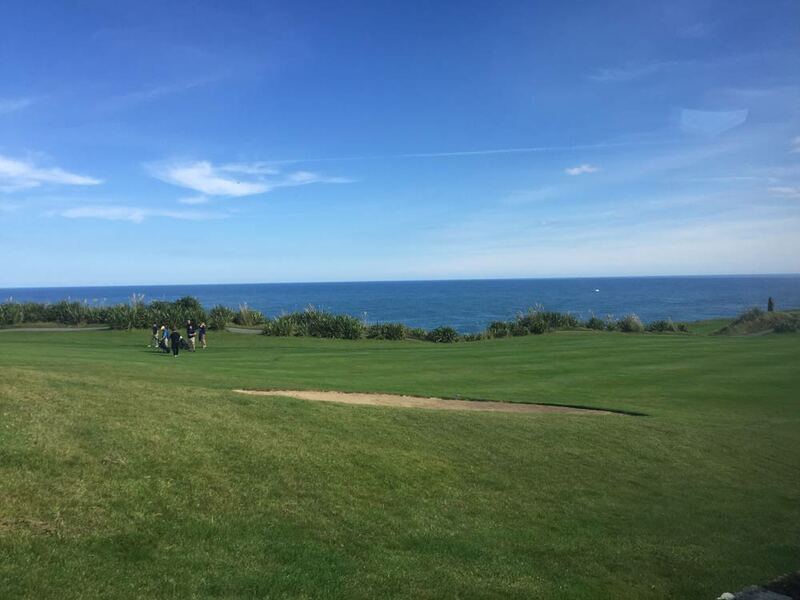 One can enjoy commanding views from the top of the Signal Tower of the headland including the world class Championship Golf Links and the black-and-white banded Lighthouse. 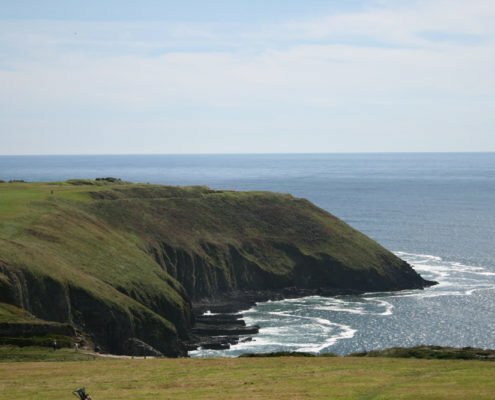 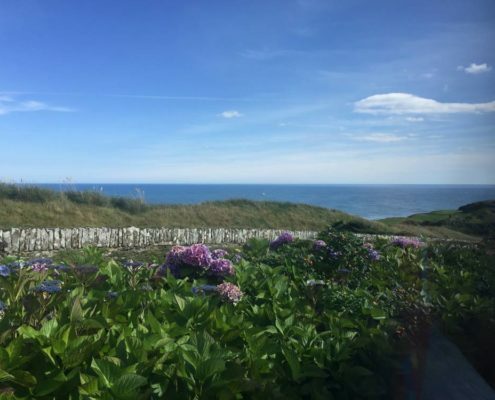 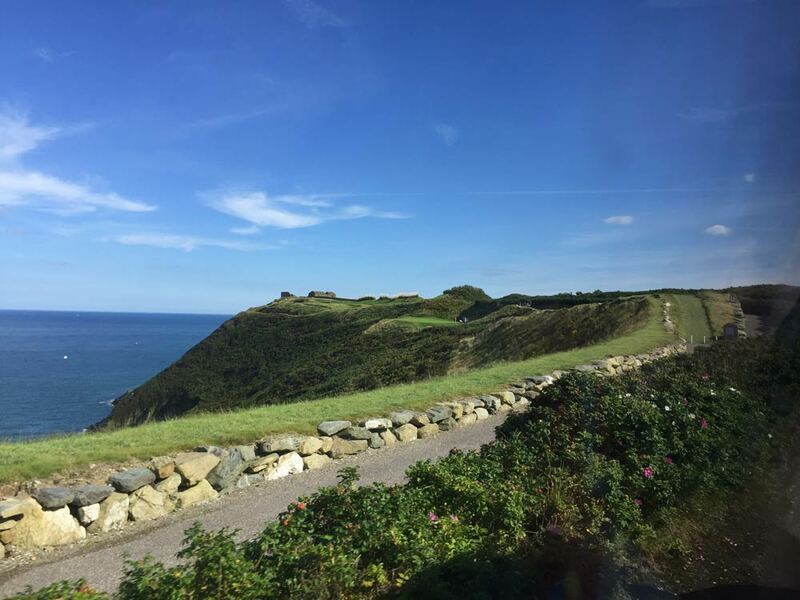 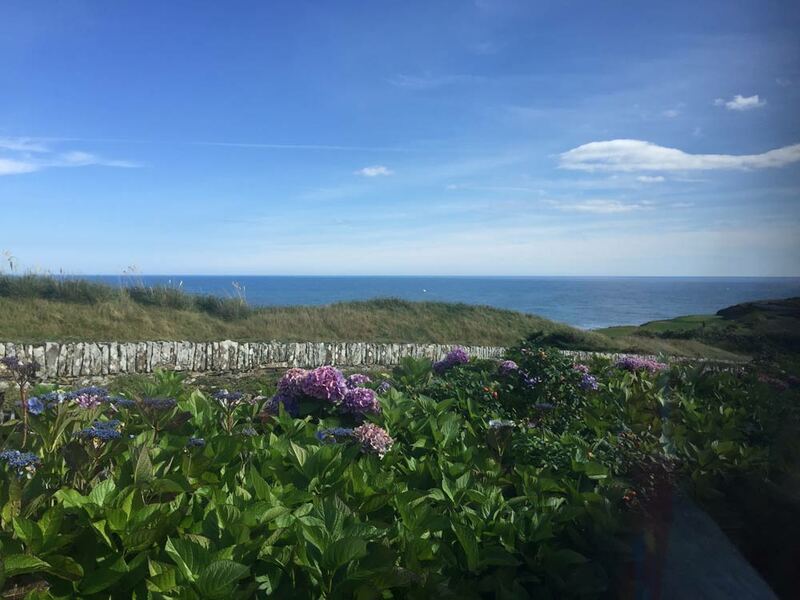 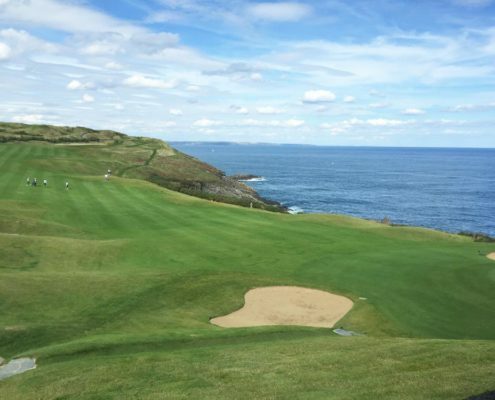 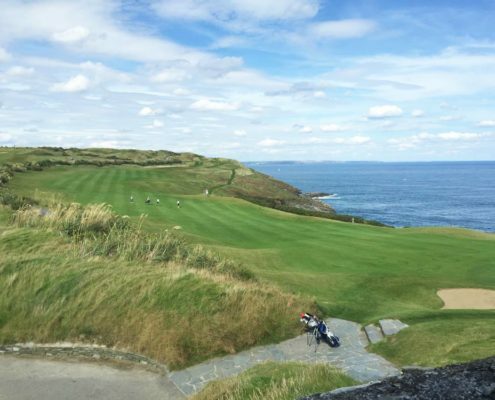 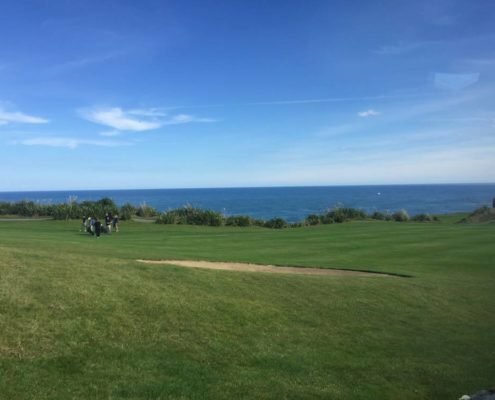 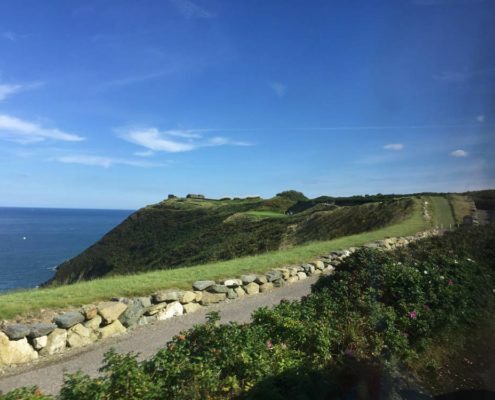 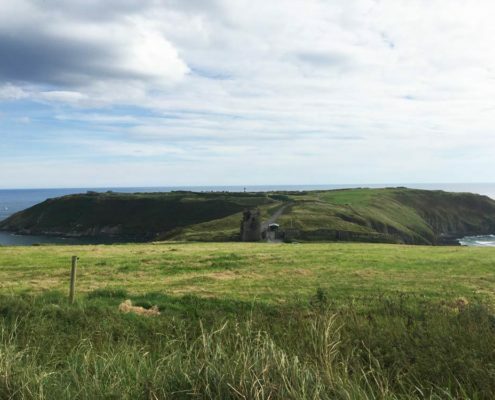 Generally access to the Old Head golf course and lighthouse is restricted to golf club members except for a couple of days once or twice per year, in May and during Heritage Week in August, when locals and tourists are given access by bus to the lighthouse. 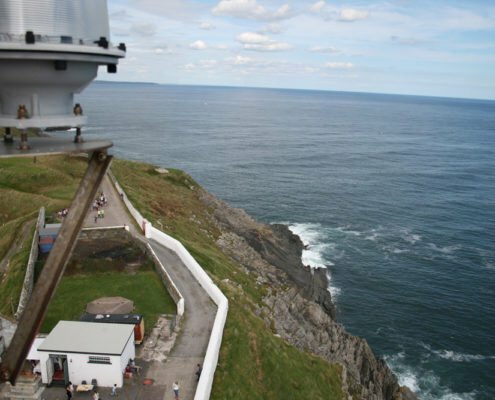 Take a look at the 360° view of the area around the Signal Tower we uploaded to Google Maps. 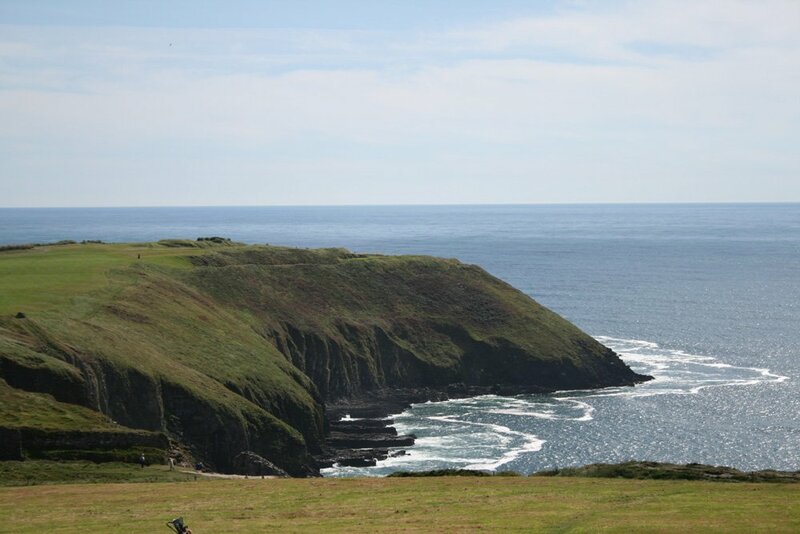 You can pan around the site by swiping your finger or mouse across the image below in the direction of your choice. 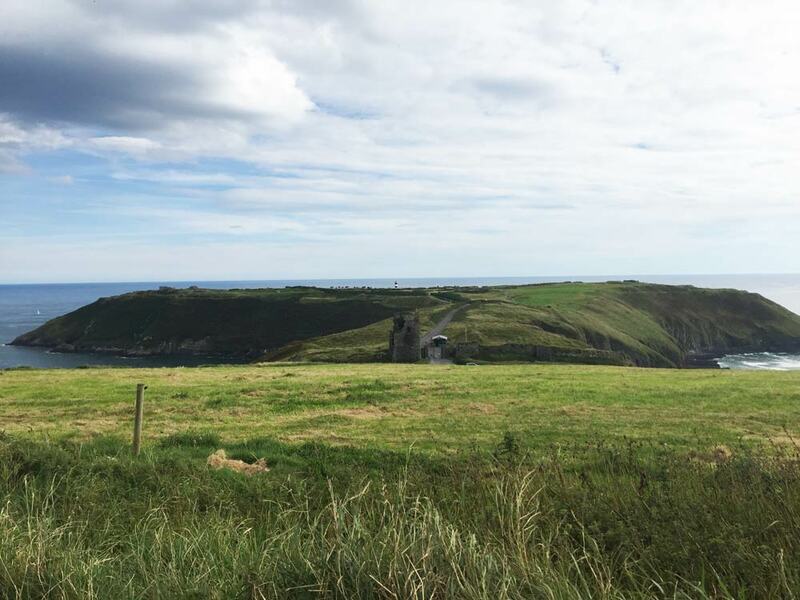 The Old Head Signal Tower is one 81 such towers. 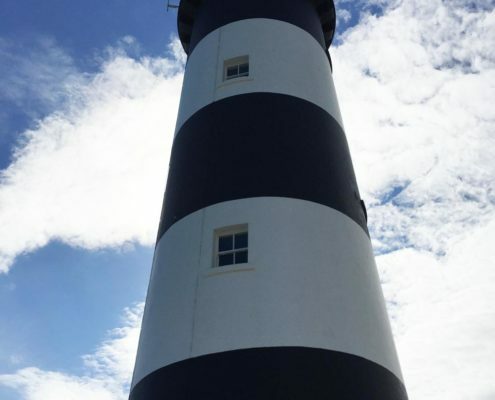 It is number 25. 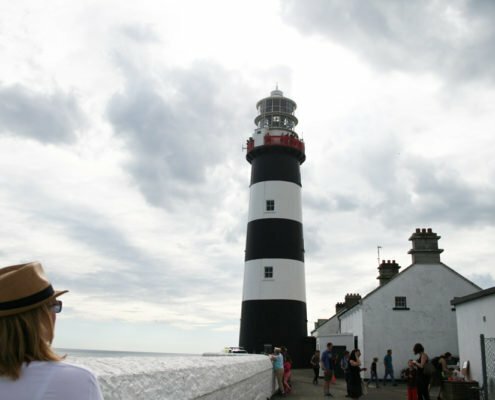 They were built within sight of each other for the purpose of passing signals to Dublin Castle using a code called ‘The Flag-and-Ball Signaling System’ where flags of various sizes and shapes and large black canvas balls were mounted on a very tall mast. 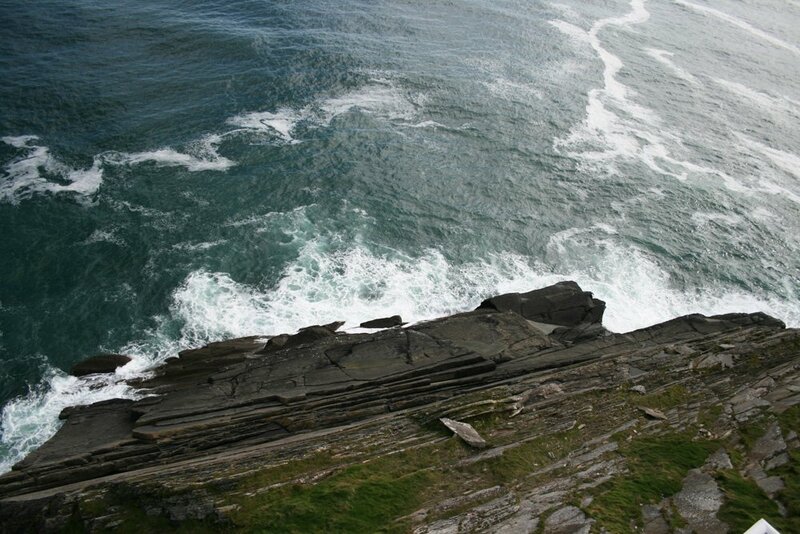 This must have been quite a difficult system to operate given the wild winter weather common along these coasts.